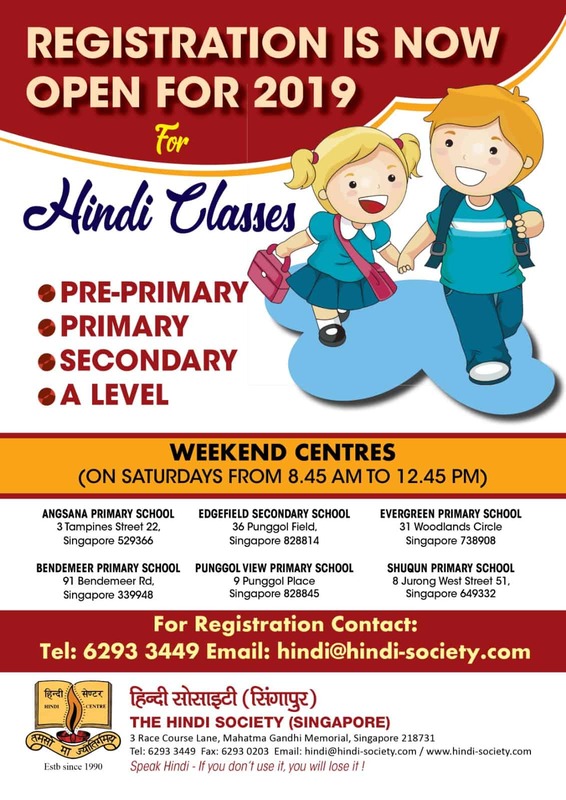 Our aim is to promote Hindi language in Singapore. 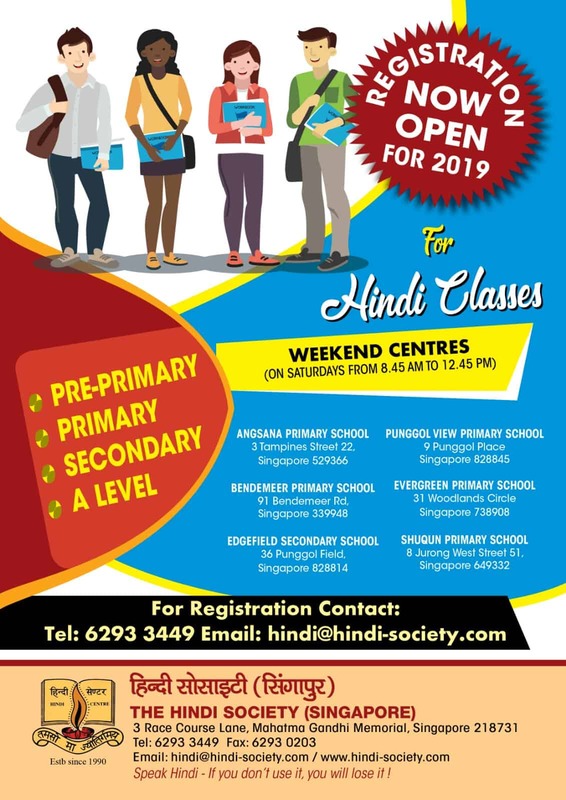 We provide our services in 79 Primary & Secondachools. 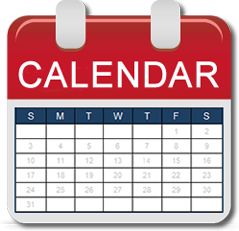 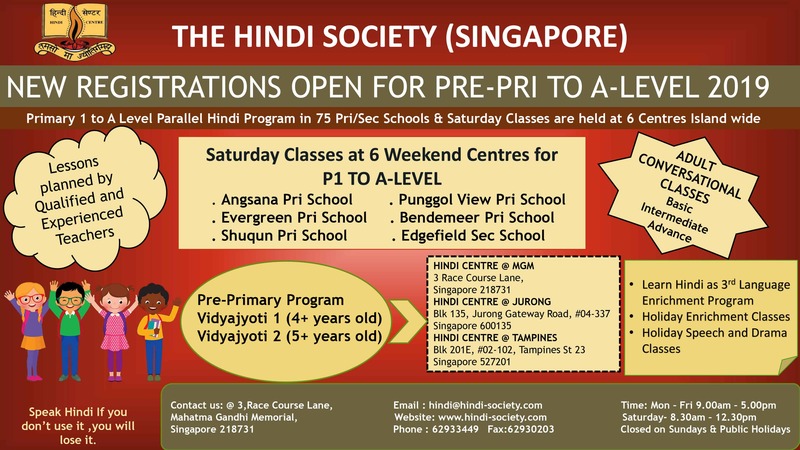 We also provide weekend Hindi classes in 5 centres across Singapore. 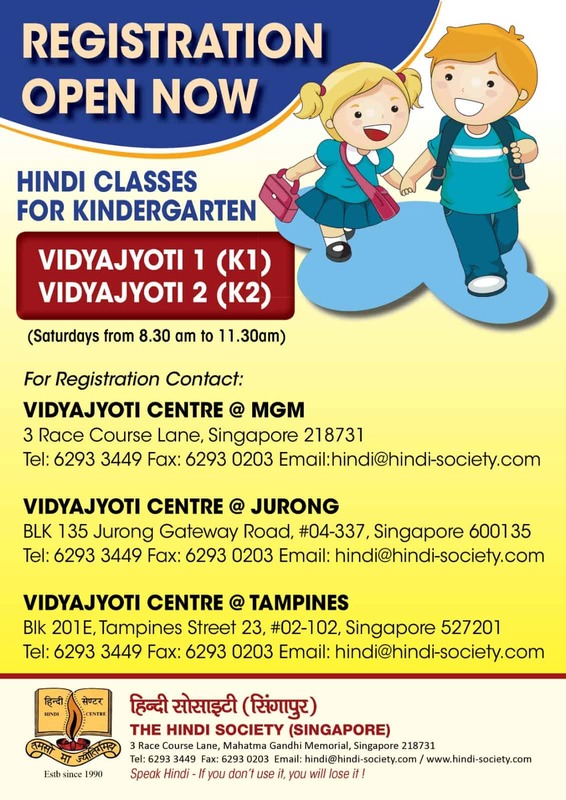 We also conduct Adult Hindi Programme (Basic, Intermediate & Advance level) at our Registered Office. 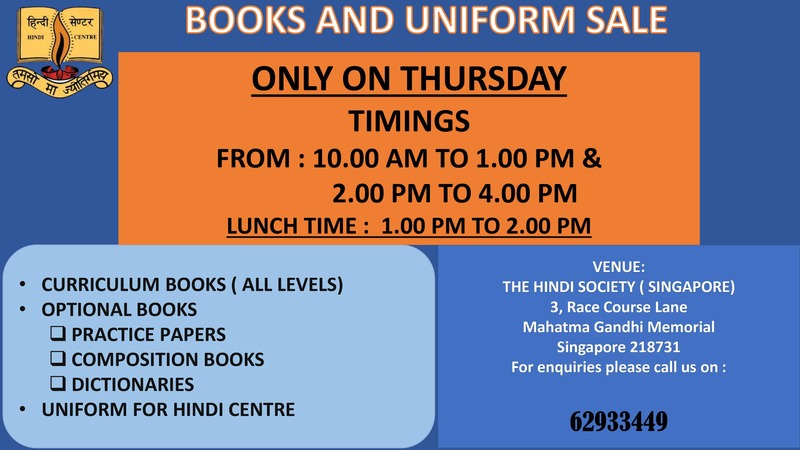 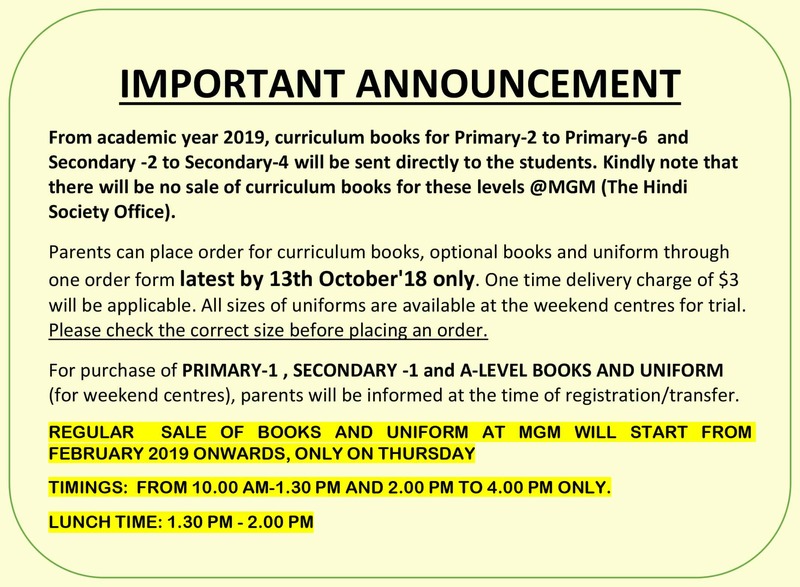 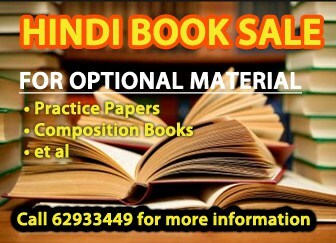 HINDI BOOK SALE SEMESTER 1 ….